Tom Cruise stars as the title sports agent in "Jerry Maguire," an Academy Award-winning drama with elements of romance and buddy comedy. The romance is with a single mother named Dorothy Boyd played by Renee Zellweger, whose precocious son Ray (Jonathan Lipnicki) adores Jerry. The bromance is with Rod Tidwell, played by Cuba Gooding Jr. in what is considered by many to be his career-defining role. Rod is the only client Jerry can land after he embarks on a career as an independent agent. The movie received many accolades, and a song featuring clips of dialogue from the movie received extensive airplay. 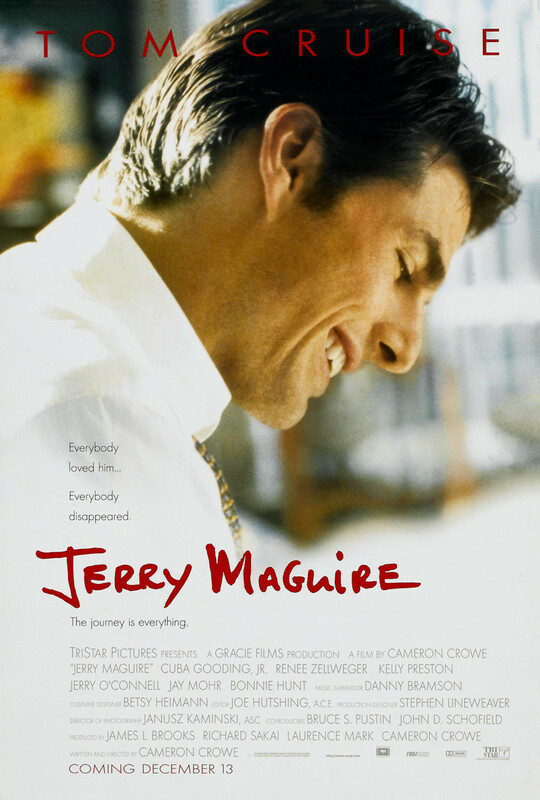 With enough different elements to attract many types of viewers, "Jerry Maguire" is a feel-good film about a man choosing a better way.